Whether you're creating a stylish conversation space or an eye-catching focal point in your foyer, this tasteful print is sure to garner compliments from even the most discerning art aficionado. We use top-of-the-line Giclee printers and premium archival inks to attain rich, dramatic imagery. 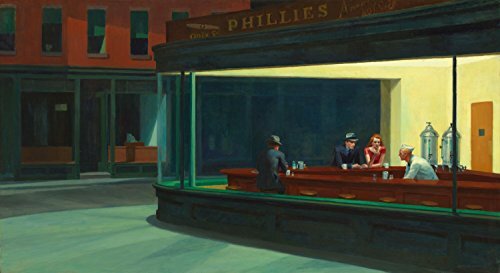 If you love classic paintings or are enamored by bright colors and vivid depictions, then this print will be a valuable addition to your home or office. Giclee is an advanced process for creating high-quality fine art productions. Our canvas prints are printed on a thick quality canvas with a 2" border, with the option to add a gallery wrap service using 0.75" stretcher bars. Our poster prints are printed on a thick satin photo paper. Superior archival inks achieve the most vivid colors and resolutions possible. Gallery wrapped canvas prints are ready-to-hang, or will fit perfectly into a frame. Our family-owned and operated printmaking shop allows us to pay particular attention to every customer, order, and inquiry. Most orders ship within 2-3 days. With a diverse collection of designs to choose from, your home decorating possibilities are limitless. PREMIUM ARCHIVAL INKS result in unparalleled color fidelity and gloss level. This makes your print or poster resilient to environmental elements, thus ensuring the longevity of your artwork. THICK QUALITY CANVAS or SATIN PHOTO PAPER achieve the most vivid colors and resolution possible. Top-of-the-line Giclee printers produce stylish prints with superior clarity and detail. 0.75" STRETCHER BARS allow your artwork to fit perfectly in a frame. Due to variations in computer monitors, some colors in images may slightly differ when you receive your canvas art or poster print. FAMILY OWNED AND OPERATED so we pay special attention to every order and inquiry. These beautiful prints and posters are ideal wedding or housewarming gifts that will be treasured for years to come. 30-DAY MONEY-BACK GUARANTEE ensures your satisfaction. If you're not delighted with the vivid imagery of our Canvas or Poster Art Print, return it for a no-questions-asked refund of your full purchase price. If you have any questions about this product by Get Custom Art, contact us by completing and submitting the form below. If you are looking for a specif part number, please include it with your message. Qi Tribe Home - Vintage Golf Patent Unframed Art Prints: Set of Four Photos (8x10) – Great Gift Idea for the Golf Fans!